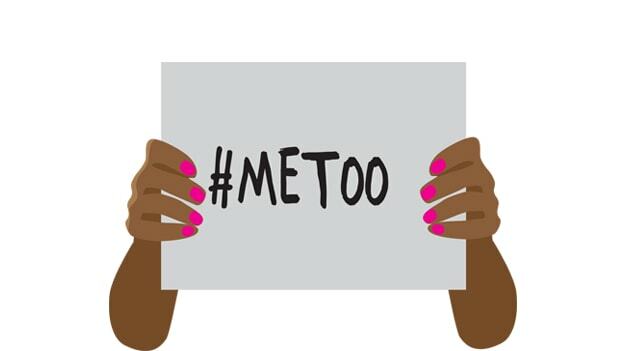 Article: #MeToo revisits the workplace: Is India Inc ready? #MeToo revisits the workplace: Is India Inc ready? With #MeToo heating up, do companies need to re-look at their sexual harassment policies? The #MeToo movement initiated by famous Bollywood actress Tanushree Dutta created a furor all over. The movement, which first began in the United States over a year ago with allegations of sexual harassment against American film producer Harvey Weinstein, gained impetus in last September after the actress Tanushree raised allegation against prominent actor Nana Patekar. Over the last two weeks, several famous personalities from the media and entertainment industry have taken to social platforms to share their own stories on sexual misconduct. The flurry of commotions over #MeToo movement has put the spotlight on the workplace. Corporates in India are up on their toes with allegations from their employees. While most of the organizations have their policies around sexual harassment, they are under pressure to relook at their sexual misconduct policies with the #MeToo movement heating up. Sriram Vaidhyanathan, CHRO, BankBazaar, feels that building awareness about the policy is essential. BankBazaar has an Internal Complained Committee which was made basis the POSH policy under the act. As a part of our continued sexual harassment awareness initiative, mandatory POSH certification was launched in September for all BankBazaar employees. The company’s legal and compliance team educate employees about the policy with regular training sessions. Experts feel that companies need to address the more significant cultural problem by empowering human resources that see their policies through and reaffirm equality at the workplace. Beyond the media and entertainment industry, female employees across the industry are becoming vocal about their past incidents at the workplace. Organizations not only need to strengthen their sexual harassment policy but also need to frame policies in such a manner that no employees should face it in the first place. Educational Institutions like MIT World Peace University are looking at reframing sexual harassment policies considering the evolving social scenario. The behavioral dynamics about this subject needs constant check and re-modification to capture relevant details to abolish potential acts of sexual harassment at the workplace. #MeToo movement instils awareness which needs to get imbibed in the policies on a faster note. Dynamic changes in the said policy, structured communication process at all levels in the organization and effective governance is the key to make workplaces the best and safe places to work, shared, Pravin Paritkar, Director, HR, MIT World Peace University, Pune. It’s high time that female employees go silent after such shameful incidents, but with social media giving voices to all the victims, companies should also take note and put their act together to make the offices a better place to work.